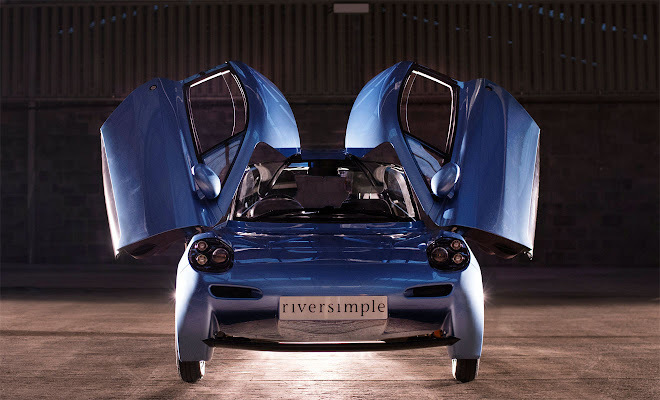 British company Riversimple is aiming to create lightweight hydrogen-powered cars optimised for short-range journeys. 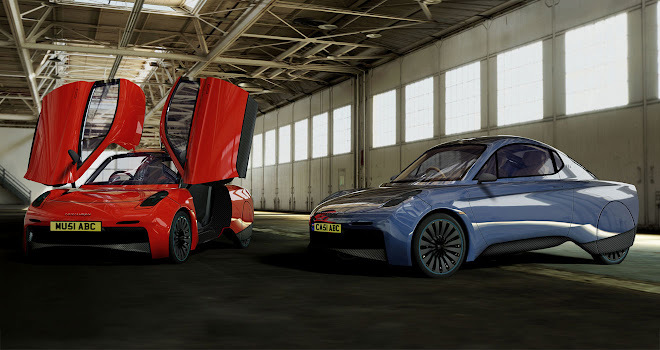 Its upcoming first model, the Riversimple Rasa, employs a carbon-fibre chassis, electric motors mounted in the wheels, supercapacitors to store regenerated energy and a fuel cell to liberate electricity from hydrogen stored in tanks on board the car. We grabbed some time with Dr Nico Sergent, architect of the Rasa’s innovative powertrain, to find out more about the technology that lies at the car’s heart. 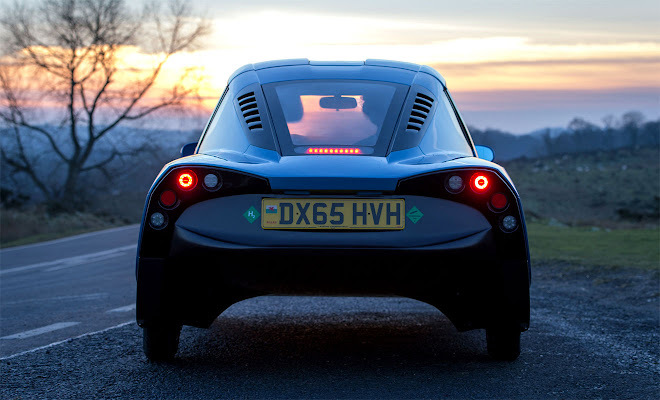 GreenMotor: Tell me about your background and what you do at Riversimple. Nico Sergent: I’m a French engineer – I went to university in France and the UK, and did a PhD with the Williams Formula 1 team on braking systems. 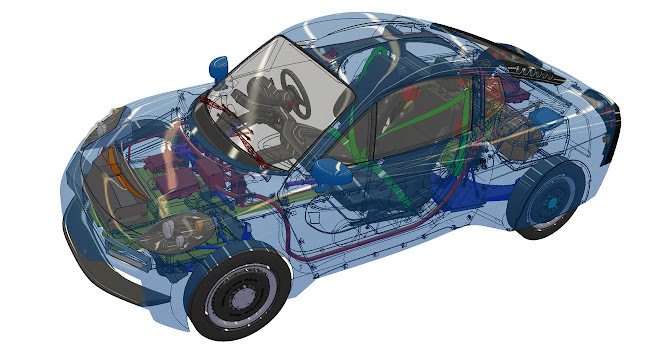 I joined Riversimple in 2010 to work on all sorts of things, but quickly focused on vehicle simulation and powertrain design and implementation. GM: Over the past decade big strides have been made in electric vehicles. I suppose progress made in EV batteries doesn’t really help hydrogen cars like the Rasa. NS: No, a fuel cell provides our core power and it’s sized for cruising. We have a buffer of supercapacitors that provide the power to accelerate and get energy back under braking, and also provide energy to go up hills and get the energy back downhill. The supercapacitor pack could be made using batteries instead, but batteries aren’t yet good enough for what we need to do. Our supercapacitor pack stores roughly 0.5kWh of energy. When you compare this to a Tesla Model S, which has up to 100kWh of batteries, we have significantly less storage but we use it in a very different way. It’s only used to meet transient power demands, so that’s quite different to Tesla’s setup where all the power comes from the battery. GM: Supercapacitors have been used recently in racing, by Audi at Le Mans for example. Is supercapacitor technology improving as a result of that kind of activity? NS: Yes, definitely. There are a lot of experimental chemistries for lithium-ion batteries and also supercaps that have been tried and tested, usually close to destruction, in racing. There’s a lot happening but it’s a question of what’s commercially available. High-power batteries are getting closer to high-energy capacitors, so it’s a bit of an ecosystem of options. They don’t overlap yet but it’s starting to get there. You can also read promising things about graphene and nanotechnology for energy storage, so that’s something for the future that we’re also keeping an eye on. Then there are issues of cooling and safety. Some lithium-ion batteries are quite iffy and need careful monitoring, with the so-called thermal runaway risk if they are physically damaged, punctured or overheated. The supercaps we’re using are a lot easier to handle and there’s no thermal runaway. They’re also extremely efficient, so there’s not a lot of heat to get rid of, especially given our whole vehicle is very small, very light and very efficient. GM: Given that energy flows in and out of the supercapacitors during braking and accelerating, can I be confident they’ll hold enough energy to let me drive up a hill in a Rasa without slowing to a crawl? NS: We actively manage the charge of the supercap pack depending on the vehicle’s speed and altitude – we have a separate GPS sensor in the car. We know we need a certain amount of energy in the supercaps to accelerate and we know how much we get back when we brake. We also need to know when the vehicle is on top of a hill that there’s enough energy capacity to regenerate on the way down without the supercaps becoming full. It’s been quite interesting to work out all the algorithms for that. GM: Will the fuel cell and supercapacitor pack you’re using last the full life of the car or will they need to be replaced at some point? NS: Riversimple has a service-based business model – we won’t sell the vehicle, so we’re looking at the cost and the efficiency of its power system throughout its entire working life. A system that’s a bit more expensive but a lot more efficient is beneficial for us overall. At the moment the supercaps we’re using should last the entire life of the vehicle with no issues, but we’re always looking at costs in the long term not the short term. It’s the same for fuel cells. Our customers won’t own the fuel cells so it’s our problem to ensure they live as long as possible and are as efficient as possible throughout their entire life. 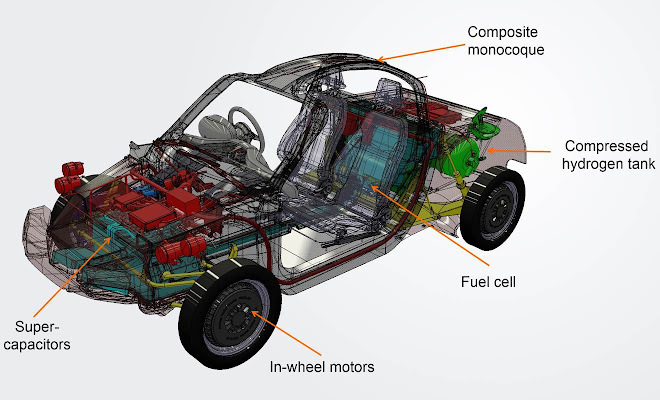 GM: Are the powertrain components you’re using custom made for the Rasa or bought off-the-shelf? NS: The fuel cell is pretty much off-the-shelf from Hydrogenics. The supercaps are also off-the-shelf from JSR Micro but we’re designing and building the pack itself. The electric motor results from a much, much closer relationship. It has been custom designed to our spec by Printed Motor Works because we couldn’t find anything close to what we wanted off-the-shelf. 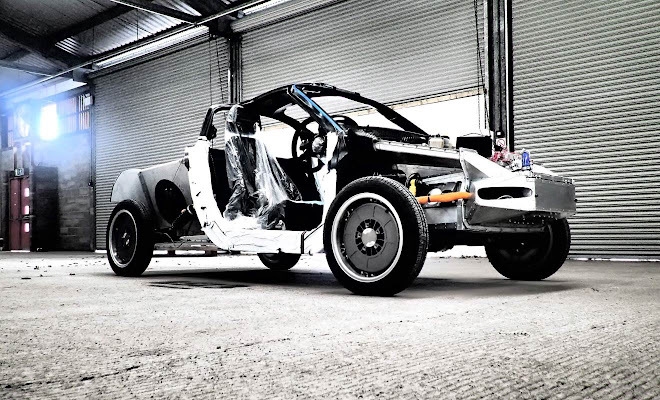 The first batch of prototypes will each use four in-wheel motors. GM: Hub motors remain a rarity – they are often talked about but seldom used in road car designs. Why is that? NS: There are several reasons. One is cost, but again we look at cost over the entire lifecycle of the vehicle so for us having four electric motors means we can have much more efficient regeneration, so under braking we get a lot more of the energy back into the supercapacitors, so that makes the overall vehicle a lot more efficient. There’s also the issue of unsprung weight, with heavy motors affecting ride and handling. But our vehicle is very light and very efficient. Our motors don’t need to be very powerful, so they’re not very heavy. Our whole wheel assembly – the motor plus brakes, rim and tyre – weighs roughly the same as a conventional wheel. However, because our car is very light the ratio of sprung to unsprung weight isn’t ideal, but we haven’t found this to be a problem either in terms of ride and handling or durability and shock loads. We’ve done some modelling and we plan to do a lot more testing. We haven’t had any issues with the motors so far on the road, but we haven’t done specific kerb testing or anything like that yet. But a hub motor is a mechanical design – there’s no fundamental reason why it can’t be designed to withstand potholes and shock loads. Another thing we haven’t done yet but which will be quite exciting: with four in-wheel motors we could do very clever things with torque vectoring to improve handling. GM: A light vehicle with the instant power delivery of four electric motors sounds like it should be fun in any case. NS: It is quite entertaining to drive. 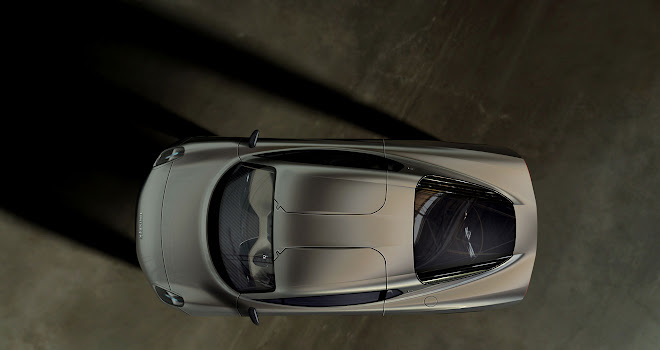 You can have a lot of fun below 60mph [the Rasa’s top speed]. We get lots of comments that our fuel cell is only 8.5kW (11bhp) so obviously the car is slow and boring. People miss the point that the fuel cell only limits sustained top speed. It doesn’t limit acceleration because the power for that comes from the supercaps. Each motor provides peak torque of 160Nm, and peak power of about 15kW (20bhp). So overall it’s 80bhp in a 580kg car. That’s quite fun. GM: Are in-wheel motors important when it comes to maximising energy recovery? NS: It’s not the fact that they are in-wheel, it’s important to have motors on both axles. Most EVs have electric power only on one axle, but if you want to get as much energy as possible back under braking you need to be able to regenerate with quite high torque on both the front and rear axles. That’s crucial to overall efficiency. Having the motors in the wheel does mean we don’t need driveshafts, and the resulting mechanical wear and grease and all that sort of thing. Also in terms of packaging it makes things easier and helps aerodynamics. We don’t have a differential or driveshafts in the way of the aero, so we can have a completely smooth floor shaped for low drag. NS: Air conditioning is tricky because it draws a lot of power. We’re looking into low-power aircon, or the most efficient ways of cooling and warming people, rather than all the air in the vehicle. Heated seats warm people up very quickly and efficiently but cooling is more difficult. 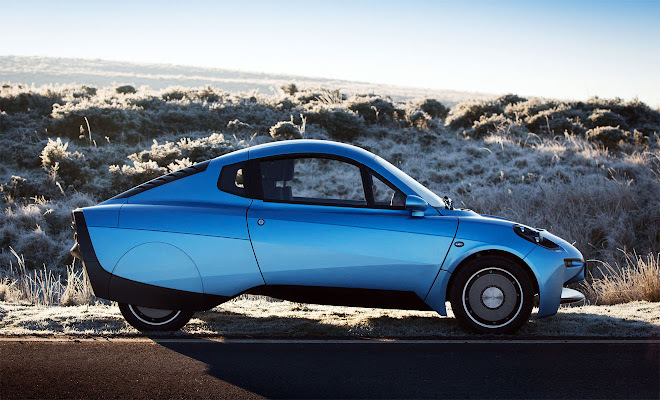 GM: Where is Riversimple today in terms of its rollout plan? NS: We’ve got one Rasa prototype. We’re building three more between now and the end of the year, then we’ll build 20 next year – in phased stages so they won’t appear all at the same time – for a public trial around Monmouth. GM: What part of your work on the Rasa are you most proud of? NS: Putting everything together and making it work. In isolation people will tell you in-wheel motors won’t work, fuel-cells won’t work because they need too much power and they’re too expensive, supercapacitors won’t work because they don’t store enough energy so you need too many of them. It’s only when you put everything together along with the lightweight carbon structure that you can make all of these things work.